Music will be provided, or may be downloaded from I.M.S.L.P. 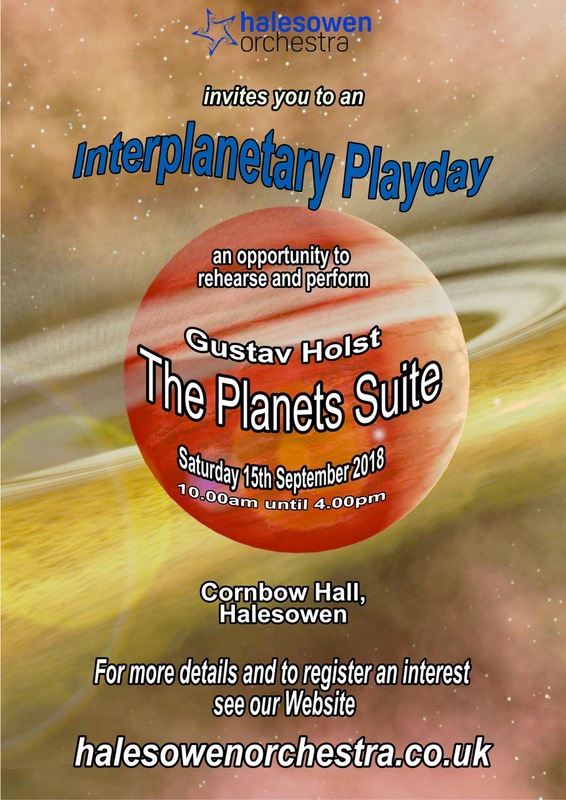 website (see link on Halesowen Orchestra website). After sectional rehearsals in the afternoon, it is hoped to bring it all together in a final performance at about 3.30pm. There will be a break for lunch - please bring your own packed lunch (there are local shops nearby). Hot drinks will be provided throughout the day. To provide some idea of numbers, it would be helpful if players could contact us via our website to pre-register and tell us which instrument they play. Payment will be collected at registration on the day.